Higer Bus Company Limited, known as “HIGER Bus”, is founded in 1998. Over the past two decades, we have conducted arduous exploration and made painstaking efforts, built a 950,000-square-meter modern bus manufacturing base, achieved annual sales of over 10 billion yuan, and exported buses to over 100 countries and regions in the world. 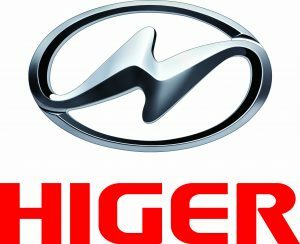 HIGER has obtained ISO/TS16949 and the China Compulsory Certification (CCC) Exemption. It has manufactured 50 series (300 models) of buses and coaches including the H, A, V, B and Star series, which cover coaches, city buses and commuter buses.